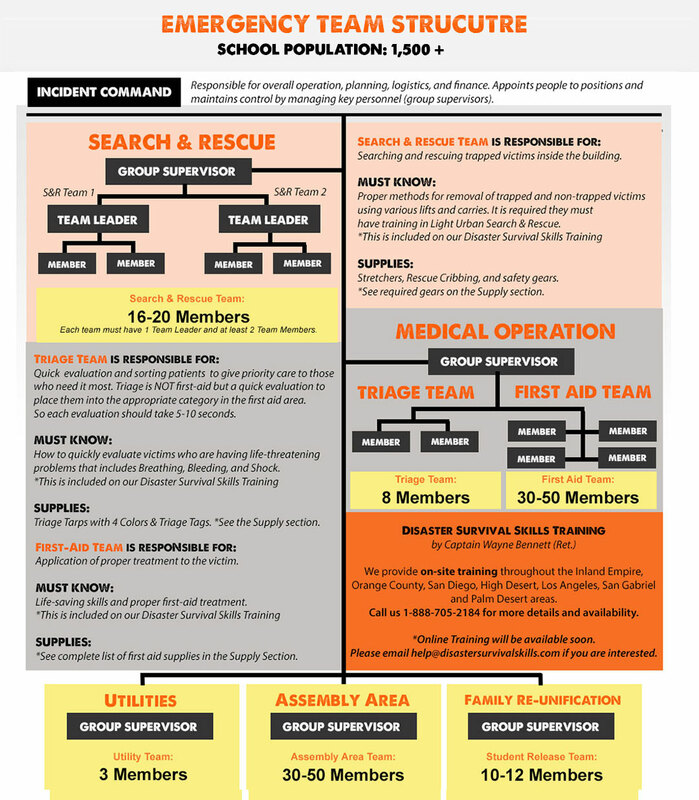 One of the keys to successful disaster preparedness planning is assigning roles to your staff. 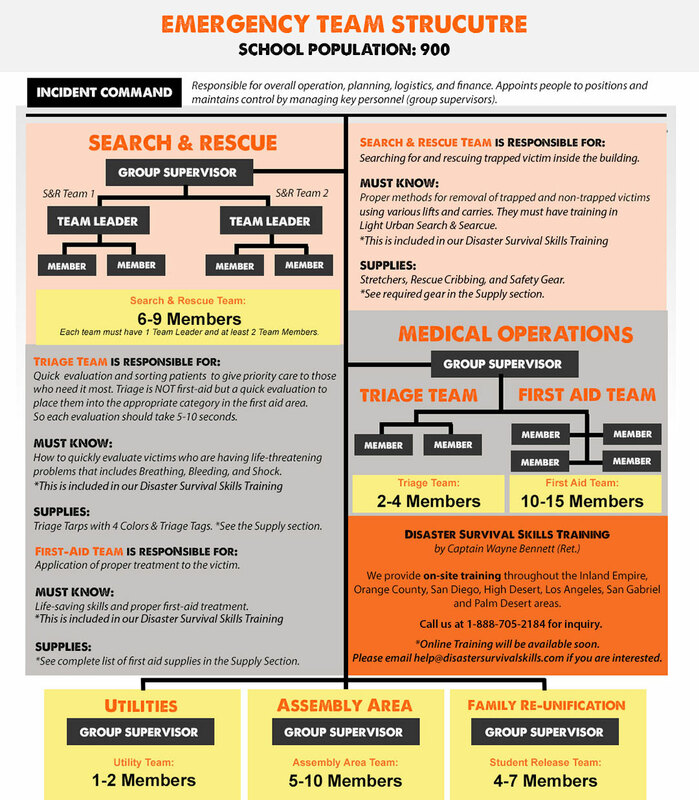 You can easily structure your emergency response teams based on your school population. Here’s a simple diagram of what your teams should look like. Simply select your approximate school population. Right-click to download the image. 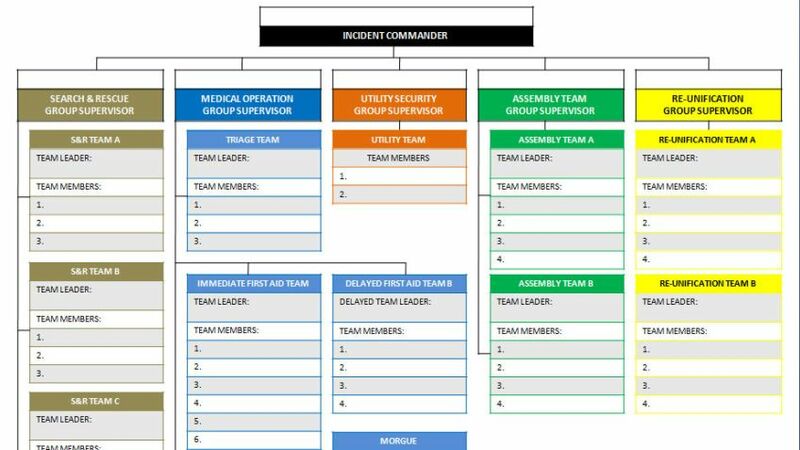 In addition, this organizational chart will help you begin to build that structure by filling in the names of your staff. These items are designed to support your Emergency Response Teams in carrying out your school’s disaster response plan. Simply enter your school population below to calculate your supplies. This is not an order form. You will not be charged. You can purchase products HERE. 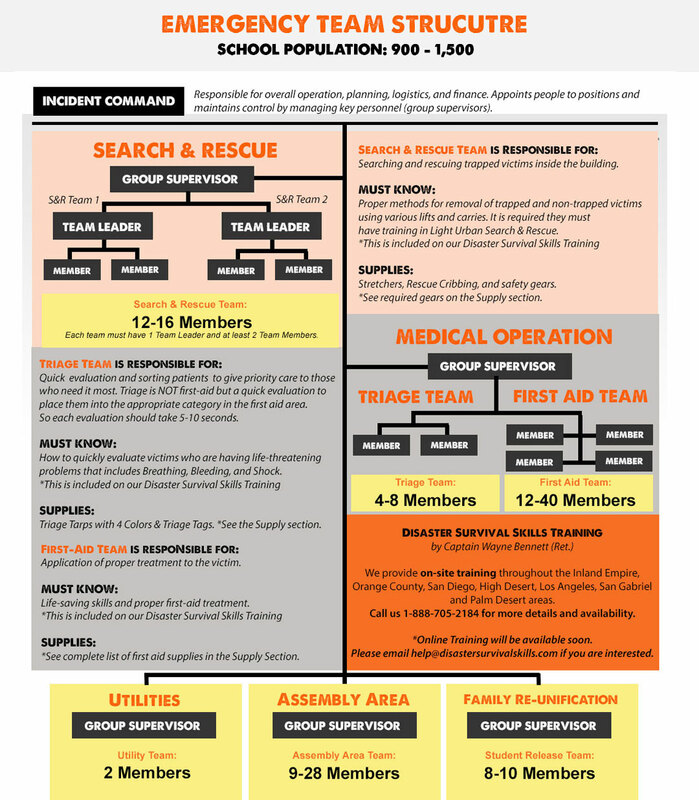 Download your 9-page disaster preparedness report that covers planning, setting up your team structure, and supply guide. Simply enter your details below. By generating the report, you have read and accepted our terms and condition.